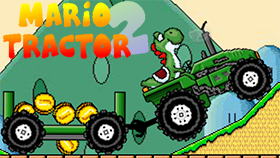 Mario Tractor 4 is part 4 of this exciting series of racing game. 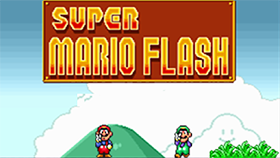 The game was released by Toongames.com and allows you to play on the web flash. This game has cute graphics and fun game play. With these designs, games are suitable for all ages, especially children and families. - The terrain is more complex. You will have to manipulate your car wisely. - The speed of the car is increased. This will make you more difficult to control the car. - Score system (in part 3 is Cargo system). - Bonus time (same as part 3). 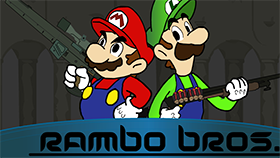 - There are a total of 8 levels in this part 4. - Luigi is free. Peach will be unlocked at level 3. Yoshi will be unlocked at level 5. Mario will be unlocked at level 5. 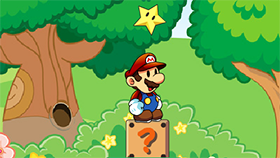 The screen shows the player the completion time of each level. Press enter to reselect the last character.